﻿ Construction Data Systems, Inc. 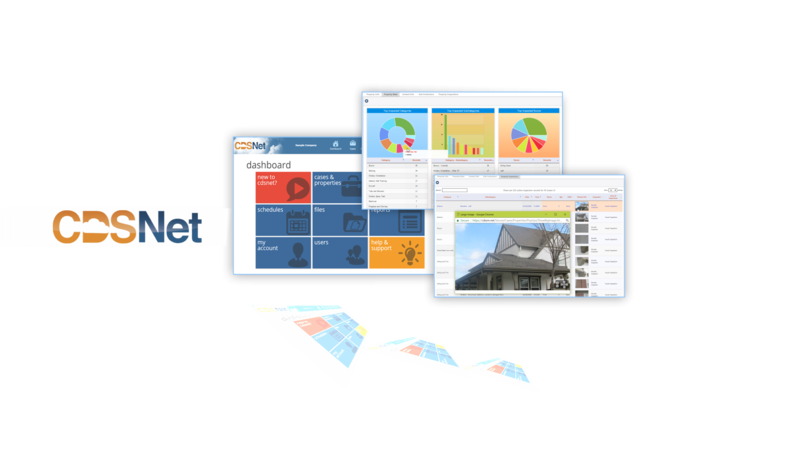 Collect photos and tag data with our mobile, desktop and web apps. PhotoInspect™ is a revolutionary technology that streamlines data collection quickly turning your inspection photos into valuable information. 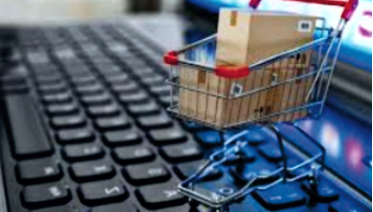 Upgrade your office hardware and IT infrastructure by shopping from our online store. 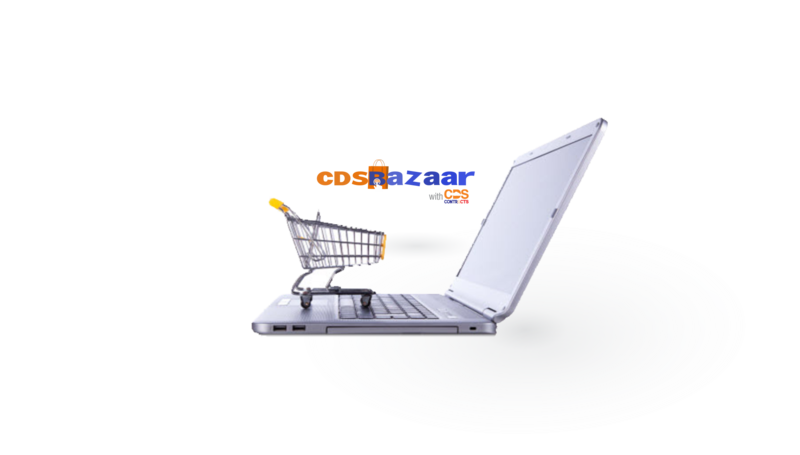 cdsbazaar.com provides a wide selection of IT products to fulfill both commercial and government needs. 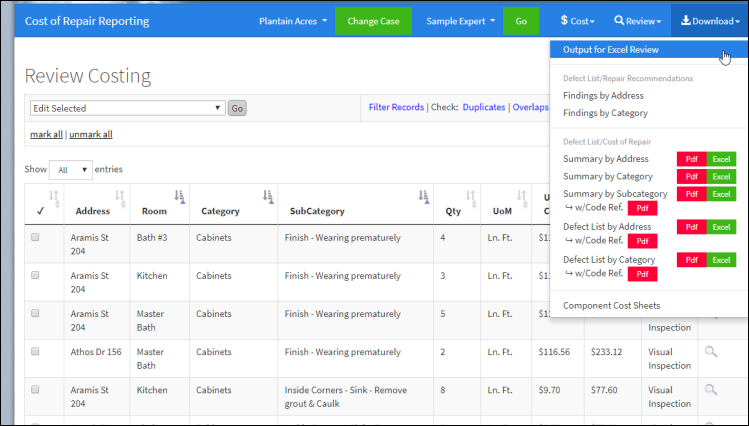 Obtain information on your inspections using powerful filter and sort options, intelligent dropdowns and a searchable notes field. Send results directly to a printer or save the output as a .PDF picture book or an Excel File datasheet. 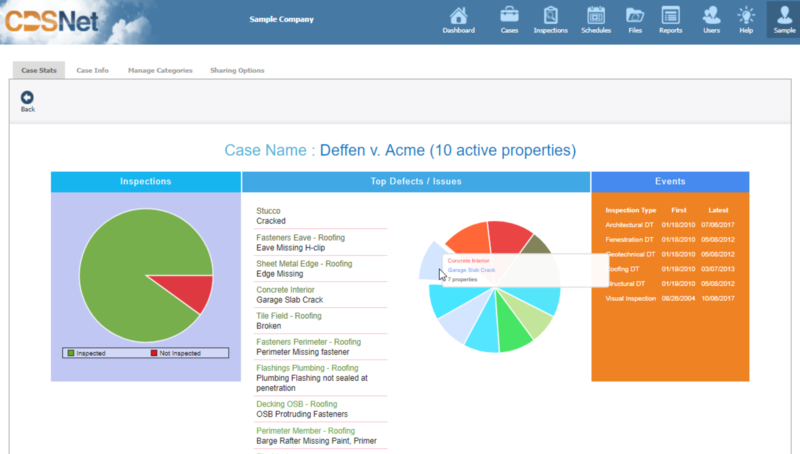 Understand your case's or project's overall progress on-screen, in real-time thru colorful graphs and data analytics. 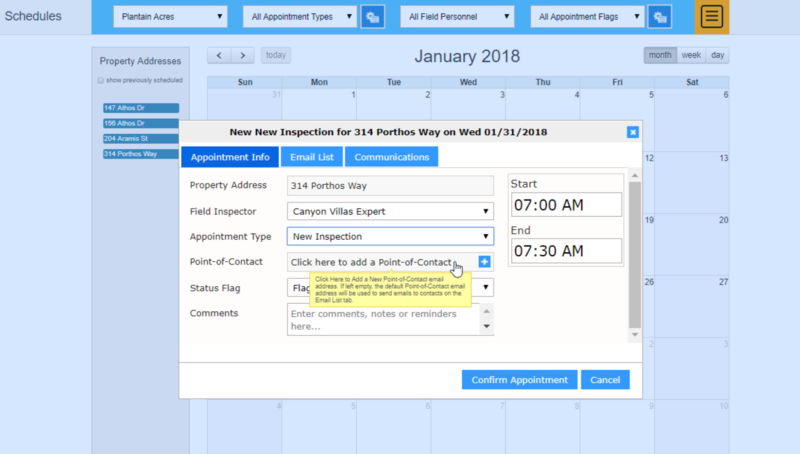 Keep track of tasks like inspections, Download, print and automatically email schedule changes or updates. 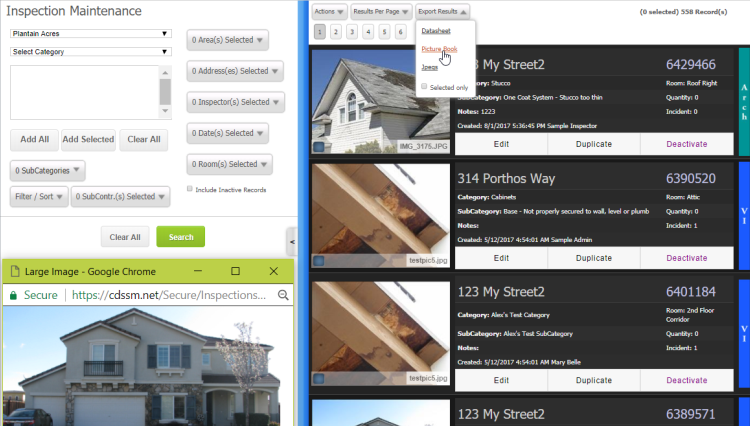 Communicate with colleagues about the status or progress of your property inspections in one centralized location. 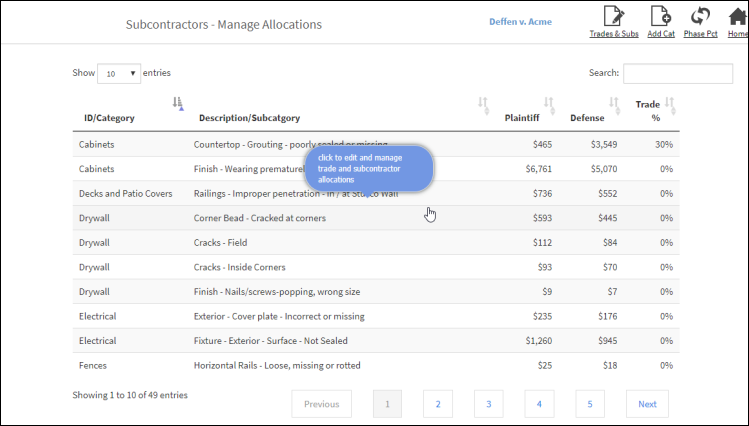 Manage and link cost sheets to inspection tags. Generate summary or detail Cost of Repair reports via automation or manual upload in excel, and produce the output in pdf or excel, with customizable report settings for mediation language. Manage allocations for different trades and output your allocations report as a pdf or excel file with header and footer report options. Quickly learn how to use the system by using a simple color scheme, unified and familiar set of interface layouts. Add multiple users for your organization under a standard subscription rate. Provide access to guest accounts at no extra cost. Collaborate with parties involved and share information whenever and wherever without the boundaries of a physical office environment. Remove access to any case or project by specifying a guest user's access termination date. Queue or upload tagged records and send them to CDSNet when internet connection is available. Choose projects or cases to load and update into the offline database. Collect photos, tag and review data while offline. Upload your inspection data to CDSNet when internet is available. 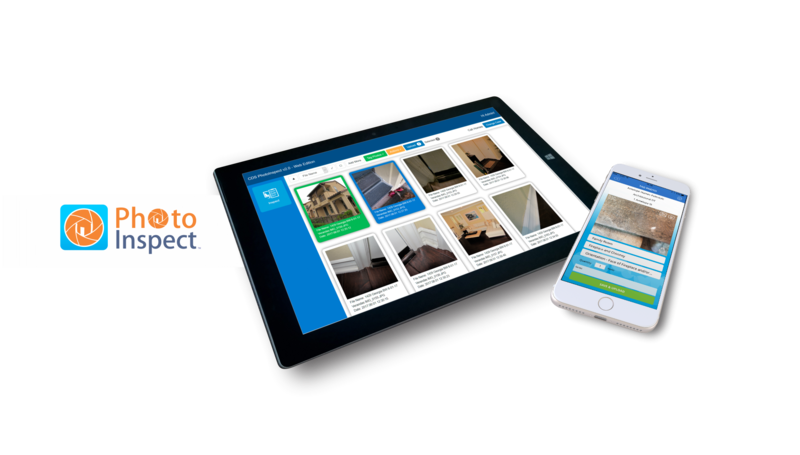 PhotoInspect™ is a technology that streamlines data collection quickly turning your inspection photos into valuable information. 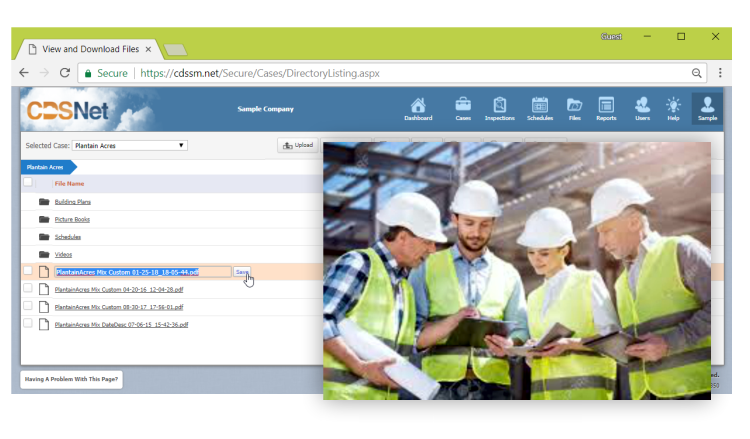 Work and get updates on your inspection records anywhere in real-time. 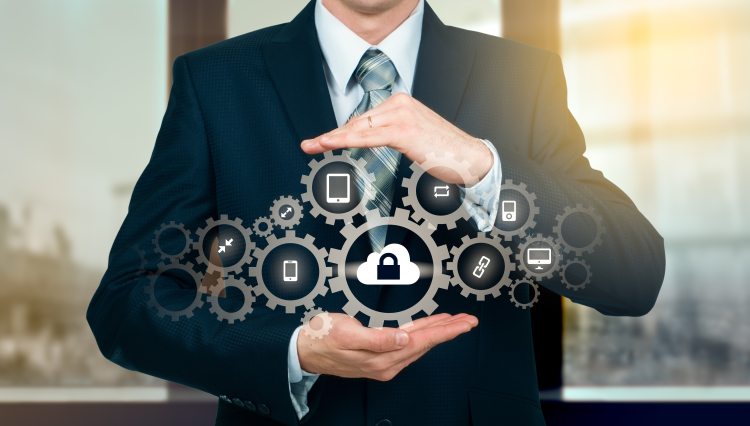 Use memory cards, flash drives, internal or external hard disks, network-attached, even cloud-connected drives as sources of your photos for tagging, with the option to tag them later on CDSNet. Construction Data Systems, Inc. (CDS) is a team of dedicated professionals, with over 50 years of combined legal and technology experience, who have been providing expert data analysis, application development and services for construction experts and law firms. CDS provides software solutions for inspection data management for construction lawyers and their experts. The company offers its users a data and photo collection software that works seamlessly with their proprietary web application for reviewing, managing and reporting data. from our clients, and hopefully yours soon. 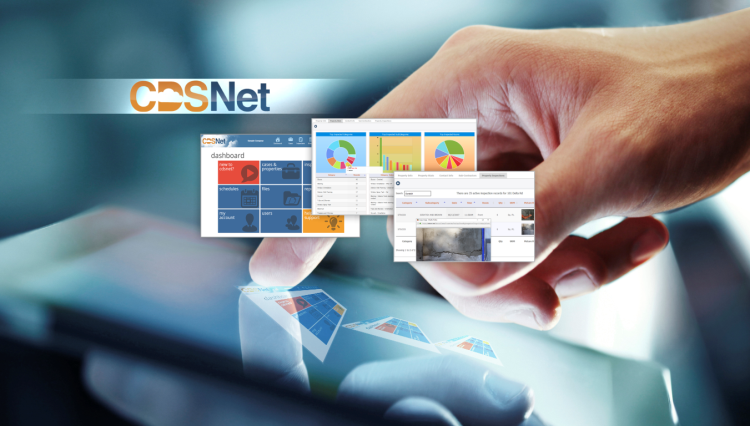 "CDSNet has helped me bring over 30 cases to successful outcomes over the last five years." 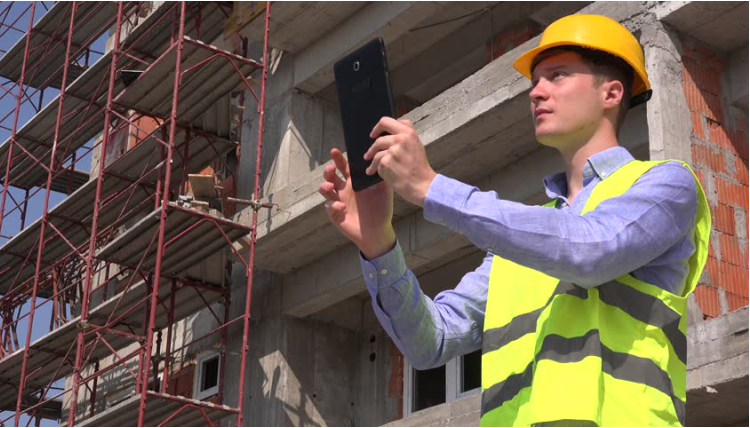 "CDSNet provides a powerful data collection, data storing and report generating tool.."
"PhotoInspect has increased my work productivity by 30%. I don't think I'll ever go back to tagging photos using generic/non-industry specific applications to handle these tasks." "Being able to get an overview of information in real-time using data analytics and graphs provides a fresh and better insight on how I should proceed with a case. I use CDSNet's intelligent search and filter capabilites to quickly find any valuable piece of information even during a mediation proceeding." "CDSNet's Cost of Repair app has the ability to tie inspection data to costable categories with it's built-in analysis and costing engine, enabling our office to generate Cost of Repair reports which used to take weeks to produce, in a matter of hours!" "PhotoInspect is a great photos and data tagging app! You can be anywhere - on a plane, in the office, or in a coffee house tagging your photos and have the option to upload them at your convenience." Terms and Conditions: Use of CDSNet via a free trial account shall be in accordance with the current CDSNet Terms of Service. Free trial accounts shall be limited to the services provided under the current CDSNet 'Basic' subscription plan. Upon the 31st day after the creation of a free trial account, that account shall become inactive, and the account and all related data shall become inaccessible*, unless and until the registered owner of that account makes payment to, or enters into a subscription agreement with CDS in accordance with the current CDSNet subscription plans. * An owner of a free trial account shall be responsible for downloading all desired data and images stored on CDSNet prior to deactivation of their account should they choose not to activate a paid subscription. When ordering or registering on our site, as appropriate, you may be asked to enter your name, address, phone number or email address. CDSNet employs cookies to enable certain functionality on the web site, and those cookies are never shared with outside parties. The only personally identifiable information stored as a cookie are the user's first and last name, which are used to personalize the user's experience on the website. At our discretion, we may include links to third parties on our website. These third party sites have separate and independent privacy policies. We therefore have no responsibility or liability for the content and activities of these linked sites. Nonetheless, we seek to protect the integrity of our site and welcome any feedback about these sites. This policy was last modified on 9/12/12. CDS's Privacy Statement provided to you in the Services available on the website or provided to you otherwise. The Services are protected by copyright, trade secret, and other intellectual property laws. You are only granted the right to use the Services and only for the purposes described by CDS. CDS reserves all other rights in the Services. Until termination of this Agreement and as long as you meet any applicable payment obligations and comply with this Agreement, CDS grants to you a personal, limited, nonexclusive, nontransferable right and license to use the Services. By another payment option CDS provides to you in writing. CDS will automatically renew your monthly or annual Services at the current rates, unless the Services are cancelled or terminated under this Agreement. Use of these Services require Internet access and/or additional software, and may be available through compatible mobile devices. You agree that you are solely responsible for these requirements, including any applicable changes, updates and fees as well as the terms of your agreement with your mobile device and telecommunications provider. You can view CDS's Privacy Statement provided with the Services and on the website for the Services. You agree to the applicable CDS Privacy Statement, and changes published by CDS. You agree that CDS may use and maintain your data according to the CDS Privacy Statement, as part of the Services. You also give CDS permission to aggregate your non-personally identifiable data which you enter or upload with that of other users of the Services. For example, this means that CDS may use that aggregated data to improve services, design promotions, or provide ways for you to compare business practices with other users. You are responsible for your content. You are responsible for all materials ("Content") uploaded, posted or stored through your use of the Services. Archive your Content frequently. You are responsible for any lost or unrecoverable Content. You must provide all required and appropriate warnings, information and disclosures. CDS is not responsible for the Content or data you submit through the Services. Community forums. The Services may include a community forum or other social features to exchange Content and information with other users of the Services and the public. Please use respect when you interact with other users. Do not reveal information that you do not want to make public. Users may post hypertext links to content of third parties for which CDS is not responsible. 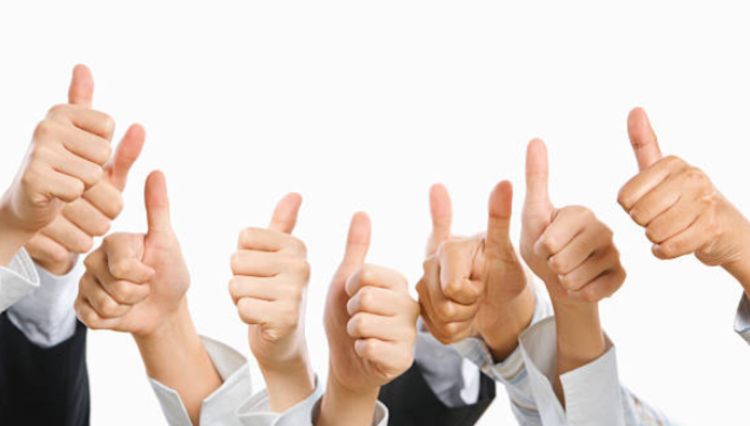 CDS may freely use feedback you provide. You agree that CDS may use your feedback, suggestions, or ideas in any way, including in future modifications of the Services, other products or services, advertising or marketing materials. You grant CDS a perpetual, worldwide, fully transferable, sublicensable, non-revocable, fully paid-up, royalty free license to use the feedback you provide to CDS in any way. CDS may monitor your Content. CDS may, but has no obligation to, monitor content on the Services. We may disclose any information necessary to satisfy our legal obligations, protect CDS or its customers, or operate the Services properly. CDS, in its sole discretion, may refuse to post, remove, or refuse to remove, any Content, in whole or in part, alleged to be unacceptable, undesirable, inappropriate, or in violation of this Agreement. CDS does not give professional advice. Unless specifically included with the Services, CDS is not in the business of providing legal, financial, accounting, tax, health care, real estate or other professional services or advice. Consult the services of a competent professional when you need this type of assistance. We may tell you about other CDS services. You may be offered other services, products, or promotions by CDS ("CDS Services"). Additional terms and conditions and fees may apply. With some CDS Services you may upload or enter data from your account(s) such as names, addresses and phone numbers, purchases, etc., to the Internet. You grant CDS permission to use information about your business and experience to help us to provide the CDS Services to you and to enhance the Services. You grant CDS permission to combine your business data, if any, with that of others in a way that does not identify you or any individual personally. You also grant CDS permission to share or publish summary results relating to research data and to distribute or license such data to third parties. We may tell you about third party products or services. Subject to the CDS Privacy Statement, CDS may offer products and services on behalf of third parties who are not affiliated with CDS ("Third Party Products") or the Services may contain links to third party websites ("Third Party Sites").You agree that CDS can use your contact information, including name and address, for the purpose of offering these products to you in accordance with your stated CDS contact preferences. If you decide to use any Third Party Products or access any Third Party Sites, you are responsible for reviewing the third party's separate product terms, website terms and privacy policies, and paying any fees, if any, associated with the Third Party Products or Third Party Sites. You agree that the third parties, and not CDS, are responsible for their product's performance and the content on their websites. CDS is not affiliated with these Third Party Products or Third Party Sites and has no liability for them. CDS reserves the right to terminate access to any interoperability between the CDS Services and Third Party Products without refunds or credits to you. You will manage your passwords and accept updates. You are responsible for securely managing your password(s) for the Services and to contact CDS if you become aware of any unauthorized access to your account. The Services may periodically be updated with tools, utilities, improvements, third party applications, or general updates to improve the Services. You agree to receive these updates. Your use of the services, software, and content is entirely at your own risk. Except as described in this agreement, the services are provided "as is." to the maximum extent permitted by applicable law, CDS, its affiliates, and its third party providers, licensors, distributors or suppliers (collectively,"suppliers") disclaim all warranties, express or implied, including any warranty that the services are fit for a particular purpose, title, merchantability, data loss, non-interference with or non-infringement of any intellectual property rights, or the accuracy, reliability, quality or content in or linked to the services. CDS and its affiliates and suppliers do not warrant that the services are secure, free from bugs, viruses, interruption, errors, theft or destruction. If the exclusions for implied warranties do not apply to you, any implied warranties are limited to 60 days from the date of purchase or delivery of the services, whichever is sooner. CDS, its affiliates and suppliers disclaim any representations or warranties that your use of the services will satisfy or ensure compliance with any legal obligations or laws or regulations. To the maximum extent permitted by applicable law, the entire liability of CDS, its affiliates and suppliers for all claims relating to this agreement shall be limited to the amount you paid for the services during the twelve (12) months prior to such claim. Subject to applicable law, CDS, its affiliates and suppliers are not liable for any of the following: (a) indirect, special, incidental, punitive or consequential damages; (b) damages relating to failures of telecommunications, the internet, electronic communications, corruption, security, loss or theft of data, viruses, spyware, loss of business, revenue, profits or investment, or use of software or hardware that does not meet CDS systems requirements. The above limitations apply even if CDS and its affiliates and suppliers have been advised of the possibility of such damages. This agreement sets forth the entire liability of CDS, its affiliates and your exclusive remedy with respect to the services and its use. You agree to indemnify and hold CDS and its Affiliates and Suppliers harmless from any and all claims, liability and expenses, including reasonable attorneys' fees and costs, arising out of your use of the Services or breach of this Agreement (collectively referred to as "Claims"). CDS reserves the right, in its sole discretion and at its own expense, to assume the exclusive defense and control of any Claims. You agree to reasonably cooperate as requested by CDS in the defense of any Claims. CDS may immediately, in its sole discretion and without notice terminate this Agreement or suspend the Services if you fail to comply with this Agreement or if you no longer agree to receive electronic communications. Upon termination you must immediately stop using the Services and any outstanding payments will become due. Any termination of this Agreement shall not affect CDS's rights to any payments due to it. CDS may terminate a free account at any time. Sections 2.2, 3 through 14 will survive and remain in effect even if the Agreement is terminated. California state law governs this Agreement without regard to its conflicts of laws provisions. You agree to the exclusive jurisdiction of state courts in Los Angeles County, California U.S.A. or federal court for the Southern District of California. CDS does not represent that the Services are appropriate or available for use in all countries. You are accessing the Services on your own initiative and you are responsible for compliance with all applicable laws. This Agreement is the entire agreement between you and CDS and replaces all prior understandings, communications and agreements, oral or written, regarding its subject matter. If any court of law, having the jurisdiction, rules that any part of this Agreement is invalid, that section will be removed without affecting the remainder of the Agreement. The remaining terms will be valid and enforceable. The United Nations Convention on Contracts for the International Sale of Goods does not apply to this Agreement. You cannot assign or transfer ownership of this Agreement to anyone without written approval of CDS. However, CDS may assign or transfer it without your consent to (a) an affiliate, (b) a company through a sale of assets by CDS or (c) a successor by merger. Any assignment in violation of this Section shall be void. If you want to request a transfer of this Agreement, contact CDS via email to: legal@cdssm.com.